Will Harvard Pay Reparations or Pass the Buck? Nike has launched its first Colin Kaepernick jersey since the former San Francisco 49ers quarterback’s endorsement deal with the sportswear giant became public in September – just days after the player’s settlement with the NFL over a collusion grievance. Colin Kaepernick, who leapt into the spotlight by taking a knee during the national anthem at a pre-season game to protest against racial injustice and police brutality in 2016, got sidelined and filed a collusion claim against the NFL in 2017. It was announced that the parties had agreed to settlement terms, including confidentiality provisions. A successful grassroots effort forces Amazon to withdraw its HQ plans; Donald Trump looks forward to second meeting with North Korean leader Kim Jong Un. Oscar-Nominated Director Bashes Liam Neeson, Melania Trump for "White Privilege"
In 2017, Ava DuVernay earned an Oscar nomination for Best Documentary Feature for her Netflix documentary 13th, which explores the connection between race and the criminal justice system in the United States. The rapper claimed that she declined the offer with “mixed feelings” because her husband really likes watching football, but at the same time she simply had to “stand behind” Kaepernick. While the young man does not face life threatening injuries, he is held up in hospital after having a shotgun turned on him by his own father over a debate that some may argue was rather trivial. Over the past two years, National Football League (NFL) players have on multiple occasions knelt during the national anthem to protest against what they describe as the US justice system’s unfair treatment of African-Americans and other minorities. An online merch store run on the official Trump-Pence apparel website was recently found selling "Stand Up For America" football jerseys, sending a not-so-subtle message to football players taking a knee during the national anthem. Most Americans agree that NFL players have the right to protest by kneeling on the field during the national anthem, but less than half say they should. A majority of white voters, however, disagree with the protests, while a larger majority of black voters find them appropriate. A Louisiana mayor is reported to have prohibited a number of recreational facilities in his city of Kenner, from purchasing Nike apparel in the wake of the sportswear company’s promo campaign featuring former San Francisco 49ers footballer Colin Kaepernick, who notoriously kneeled during the national anthem playing in 2016. A Massachusetts jewelry store has come under fire after a picture of a man proposing to a woman on a football field was deemed racist. As Americans decide on how best to call attention to endemic racism and police brutality in the nation, a US sportswear manufacturer facing an initial political backlash after choosing NFL quarterback and peaceful protester Colin Kaepernick as its advertising representative has seen its sales soar. On this episode of Fault Lines, hosts Lee Stranahan and Garland Nixon discuss yesterday's contentious Supreme Court hearing for nominee Brett Kavanaugh. Did the protesters and Democrats on the committee and accomplish their goals with these very public actions or did they go too far? 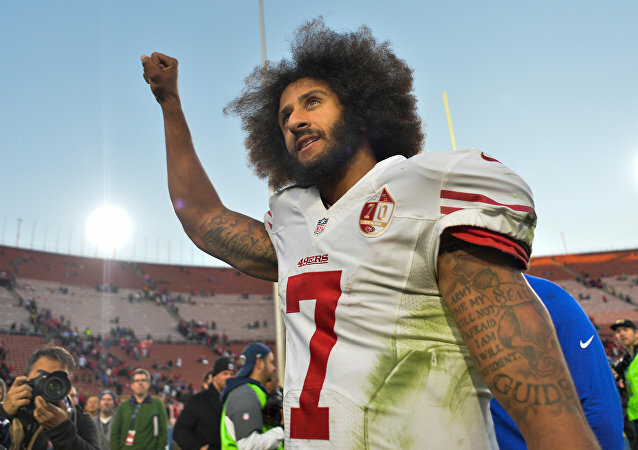 An NFL quarterback, who started the anthem-kneeling controversy in the US two years ago, signed a new deal with Nike that will make him a face of a fresh Nike advertising campaign. 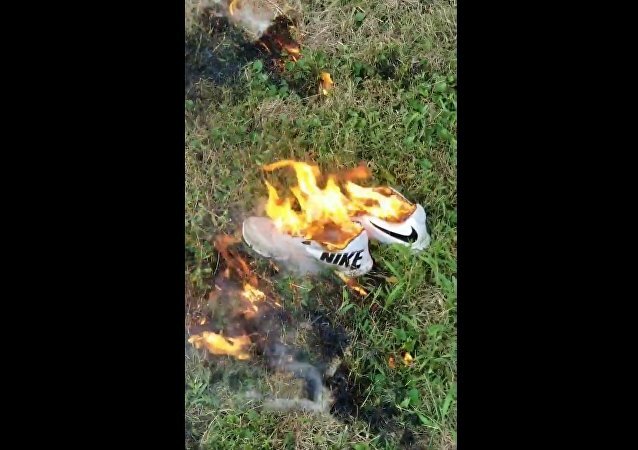 A handful of Nike customers took to Twitter to vent their displeasure over the decision. Over months of depositions in NFL free agent Colin Kaepernick’s case alleging collusion to lock him out of the US football league, US President Donald Trump remained a central figure in the case. Now, Kaepernick’s lawyers are reportedly seeking to subpoena Trump. 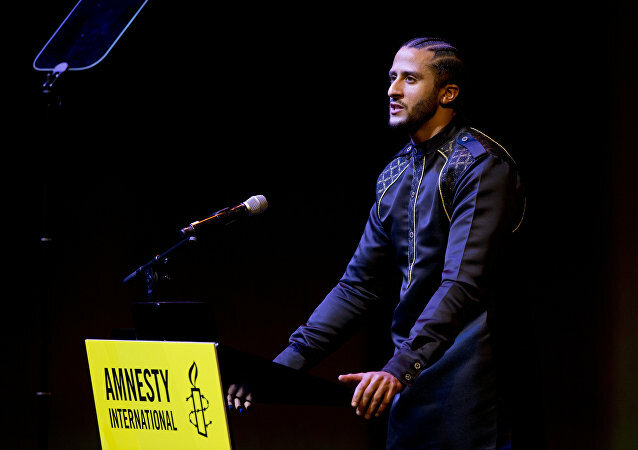 Professional US football player Colin Kaepernick, although lacking a sports team, can claim the support of a much larger posse, after receiving the 2018 Ambassador of Conscience Award from Amnesty International, the global human rights group’s highest honor. 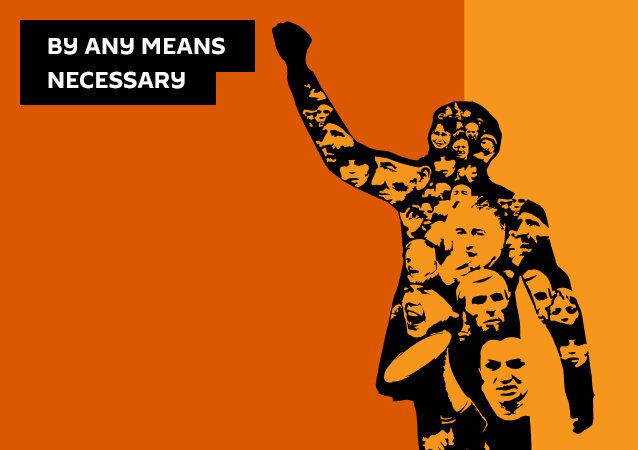 The endless jailing of Herman Bell, Oklahoma Teacher Strikes Ends, James Comey's new book, and the future career of Colin Kaepernick.